CARL RUSSO/Staff photo. Beverly/Danvers sophomore goalie, Julia Otterbein makes a save. 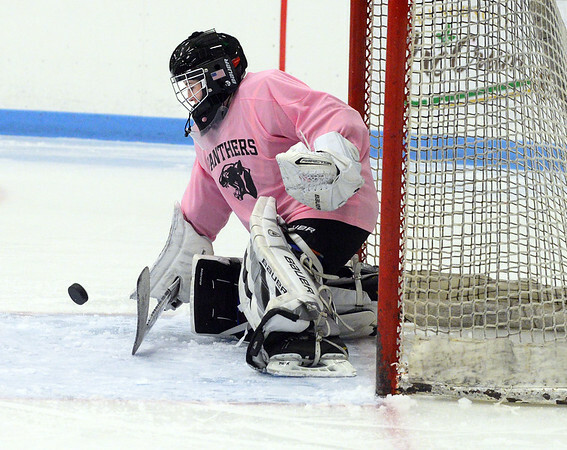 The annual Colleen Ritzer memorial hockey game between Andover high and Beverly/Danvers was played on January 9, Wednesday night at the Raymond Bourque arena at Endicott College. The game benefits the Colleen Ritzer Memorial Scholarship Fund. The annual Colleen Ritzer memorial hockey game between Andover high and BeverlyDanvers.